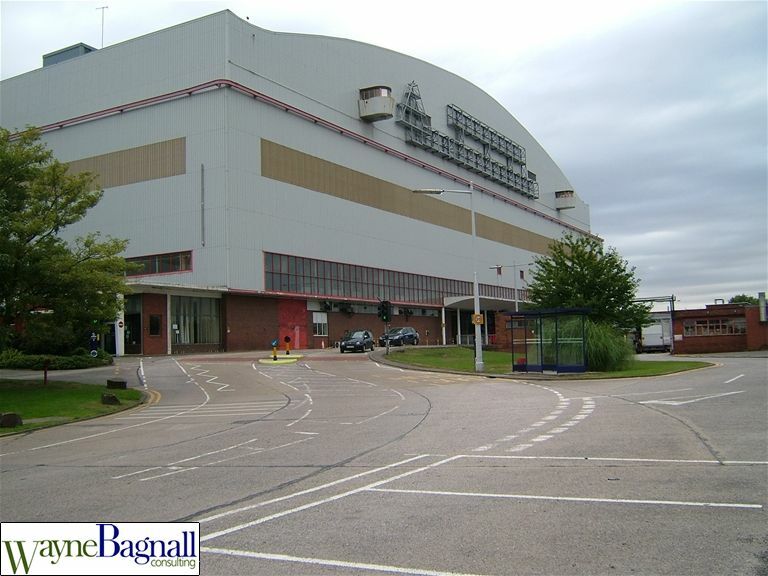 BAE Systems own the Brabazon Hangar with responsibility for its maintenance and repair, the old redundant heating pipes contain asbestos and whilst undertaking the "duty to manage asbestos" they commissioned an asbestos survey. 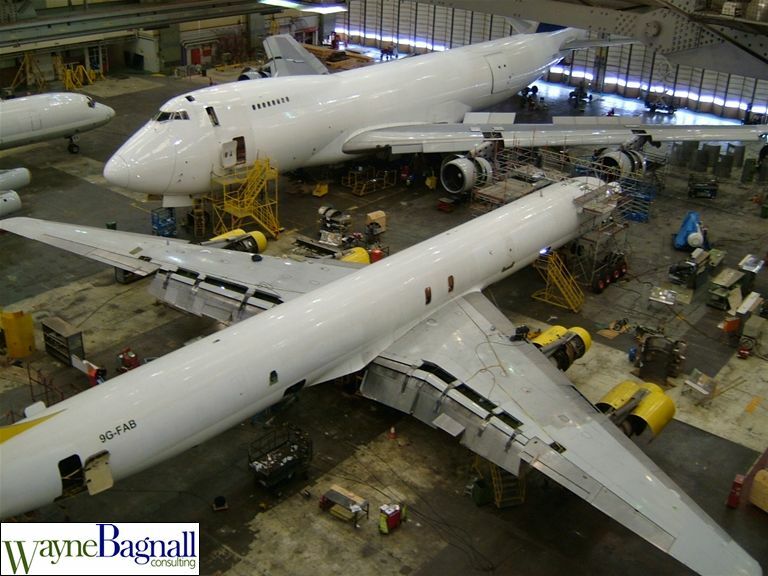 This survey reported that the high level pipework was in very poor condition requiring urgent removal with a full environmental clean of the hangar and submitted a cost to BAE in the order of £2m for carrying out this work. BAE wanted to ensure the work was necessary & to minimise the impact on the tenants that occupy the hangar, they therefore engaged me to visit and review the asbestos survey report. I carried out several visits to the hangar accompanied by a BAE manager to ensure clear understanding of my findings. Following a critical assessment and verification sampling it was found that most of the pipework had been previously replaced with a non-asbestos insulation and that only a few places of asbestos was in poor condition <5%. This was contrary to the original asbestos survey report findings and therefore a different strategy was discussed with all concerned including the HSE. 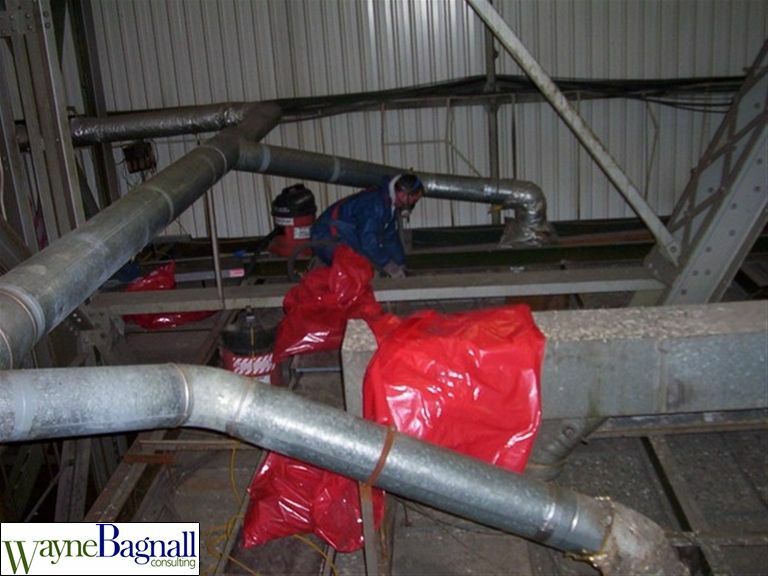 It was recommended that encapsulation of localised damaged asbestos pipework be undertaken followed by a precautionary environmental clean to remove minor asbestos debris, pigeon guano and other accumulated debris. This decision was endorsed by the HSE as being an appropriate preferred solution to a difficult problem.